Don't Beware of Math... Be Aware of It! As the last days of April unfold, we head into May and the end of the school year. Many classes focus on testing and final grades. Teachers often must focus and ready their students for end-of-the-year testing. Math classes will be asked problem after problem and question after question. In all those classrooms, a thought probably, if not often, races through someone's mind. Yes, the thought... the one that makes pencils heavier, word problems harder and students wish they were somewhere, anywhere but where they are. There are a lot of ways that thought turns into a question. A common one: "Why study math?" So let's go and ask, particularly given that we are in April, which is Math Awareness Month. For some, math may be something to beware of rather than be aware of. In fact, that's precisely the point of the month. Math has many applications, from theoretical to applied. Mathematicians continue to expand the boundaries of what we know mathematically. With the publication of each new issue of a journal, the field of math grows. 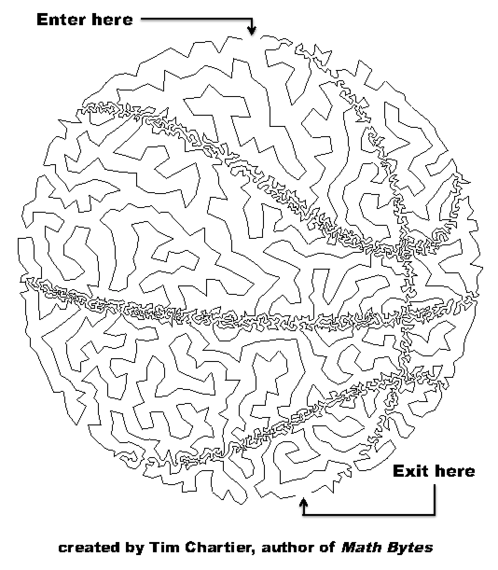 NBA teams use mathematics to gain a competitive edge over their opponent. Will the better team with better mathematics win? It definitely helped the Oakland As in 2002 with the math that became known as Moneyball. Every day, credit card numbers are encrypted to allow for secure online transactions. Developing methods of encryption that simply cannot be broken with a faster computer comes from mathematics. Studying math enables one to appreciate and possibly understand its applications. Yet one does not need to study math just so the techniques can be used in theoretical or applied settings. Mathematics teaches a way of thinking. 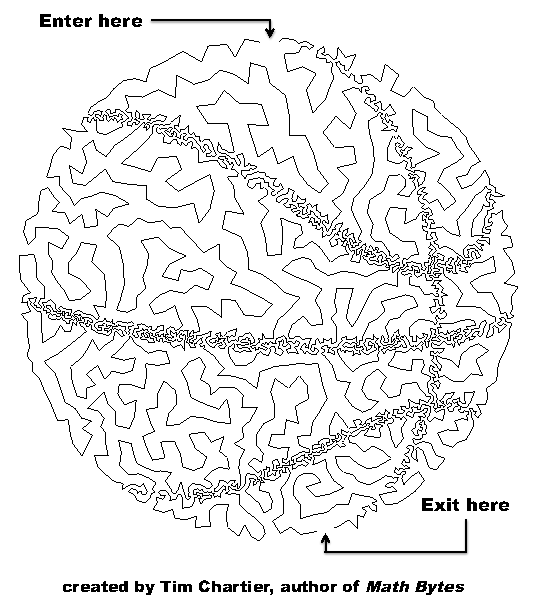 Returning to basketball, mathematical formulas won't pop off the court. Someone must derive them and study them to ensure their usefulness. It can take time to gain such insight. The process toward such understanding is what probably draws many mathematicians to their field. I like to think of it as a path of wonder. For example, I've periodically been contacted by ESPN's Sport Science program to aid in their analysis. They call when they are stuck. When the problem is first presented, my first thought is, "I have no idea how to do this." And yes, every time I have found a way. Part of this stems from my awareness of that path of mathematical wonder. You don't have to simply know the answer to a math problem to solve it. In fact, math is usually more interesting when you don't know how to solve a problem. Would a jigsaw puzzle be fun if it had only two or three pieces? You never know exactly how to fit a 1,000-piece puzzle together when you start, and you won't always try to fit connecting pieces. It's a puzzle, so you explore and experiment. Math can be the same way. As such, there is a certain sense of mystery to math. You step into a question and simply stand in the unknown. Then you begin to explore, looking for pieces that fit together. This type of thinking is helpful for life, as it offers its unknowns. In life, you may be forced to stand in the unknown. What questions do you want to explore, and what pieces do you want to try to fit together? Some math ideas are developed through a similar process of exploration. 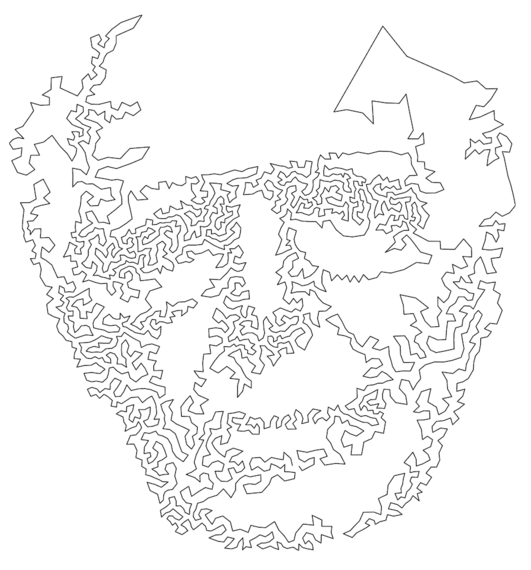 For example, about 10 years ago, I learned how Robert Bosch, Adrianne Herman and Craig Kaplan were creating pictures like the one that I made (after learning their ideas) below. Click here if you'd like a larger version of the maze. This creative edge of math engages me. It makes teaching math every day at Davidson College a great job. And it makes answering that question "Why learn math?" a question I look forward to being asked. But does this sound like the mathematics you know? If not, then you might want to spend some of these last days of April exploring the Mathematics Awareness Month website. The theme for April 2014 is Mathematics, Magic and Mystery. Each day of the month an engaging idea of mathematics has been unfolded. See the ones already shared and await those yet to come. Learn secrets of mental math, mathematics of juggling, optical illusions, and many more interesting ideas and the math behind them! Want to dig deeper? Note that the theme was chosen as 2014 marks what would have been the 100th birthday of Martin Gardner. Simply put, he engaged millions in his mathematical writing and made mathematicians and children alike aware of the wonders and mysteries of math. So be aware of math! It has many applications, from magic to sports to the theoretical to the historical. I often tell my students in class that if you don't like math, it may simply be that you haven't discovered the area of math that fits the way you think! Be careful of sampling from only one part of the math buffet and walking away. A great place to sample many engaging ideas of math is every April with Math Awareness Month. This April, you can learn math and soon engage friends and family with ideas in the mystery and magic of mathematics! So why study math? It develops your mathematical sense, which enables you to see life through that lens. In the process, you hone your ability to think in ways that can make you more aware of life itself. So enjoy these last days of April and be aware of math! This post was also featured on the Princeton University Press blog.